Plymouth University Sporting Excellence scholar Pete McCoy has placed in the top three in the final race of the 2014 Finn Junior World Championships. The young sailor, who has had a string of successes including finishing fourth in last year’s Junior Worlds, winning last year’s Junior Europeans and being one of only three people nominated for the BUCS (British Universities Colleges Sport) ‘Sportsman of the Year’ award, Pete also lays claim to progressing to such a degree that in the 2012 Finn race, he sailed against his hero – four-time Olympic gold medallist Sir Ben Ainslie. "It was a great privilege to sail against Sir Ben Ainslie, particularly bearing in mind I had only been in the boat a few months. The conditions were pretty extreme and he totally dominated this event and had won with a day to spare," said Pete, who is now a member of the British Sailing Team. Pete first took to the water at the age of four when his grandparents bought a small boat for him and his brother to share. But it was this competition, and particularly his brush with the elite of British sailing, that convinced Pete he had the skills and enthusiasm to pursue his sport further. The third year BSc Applied Marine Sports Science student who won a gold medal in the 2013 BUCS Sailing event held in Plymouth, added: "I have had great support throughout my time at Plymouth University, which has made it possible for me to achieve both my academic and my sporting goals." With a realistic aspiration to go to Brazil and compete in the 2016 Olympics, Pete’s next challenge will be the ISAF Worlds (International Sailing Federation) in September, where he will continue to represent Plymouth University. 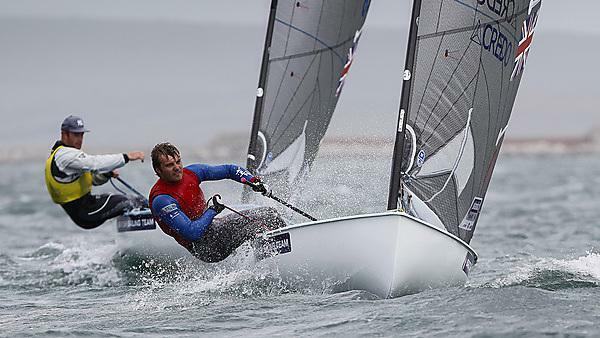 Learn how we're inspiring and enabling BSc (Hons) Applied Marine Sports Science student and Team GB sailor Peter to plot a course to his sporting and academic goals.